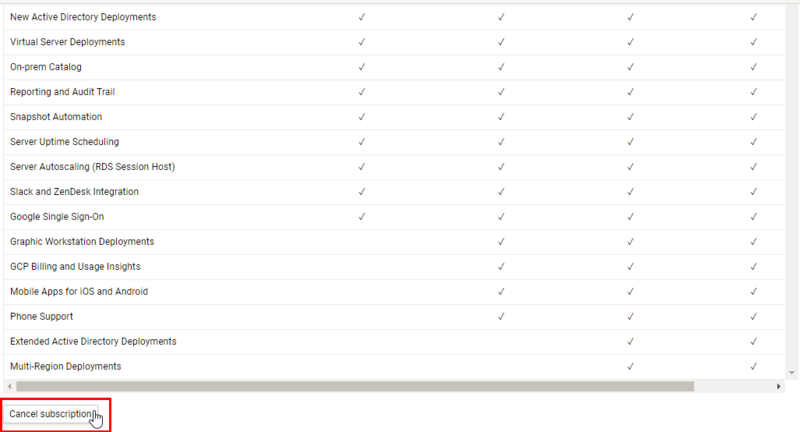 If you decide to no longer use itopia services, you can cancel the subscription from the admin menu of the CAS portal. Click on the person icon on the top right corner and select Subscriptions. You subscription will not be active anymore, you loose access to your resources from the itopia management portal. After the cancellation, you won't be billed anymore. Your account will not be completely deleted, you can reactivate it anytime under the same plan you had when you cancelled. After re-activating the subscription you will be charged the price of the plan you were subscribed to. If you subscribed to itopia via Google Marketplace, you will only be able to cancel the subscription in the marketplace page. Just open Google Marketplace and make sure you are logged in (in the top right corner). 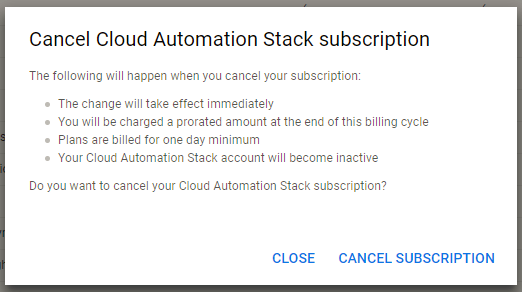 Then scroll down and hit Cancel subscription button. 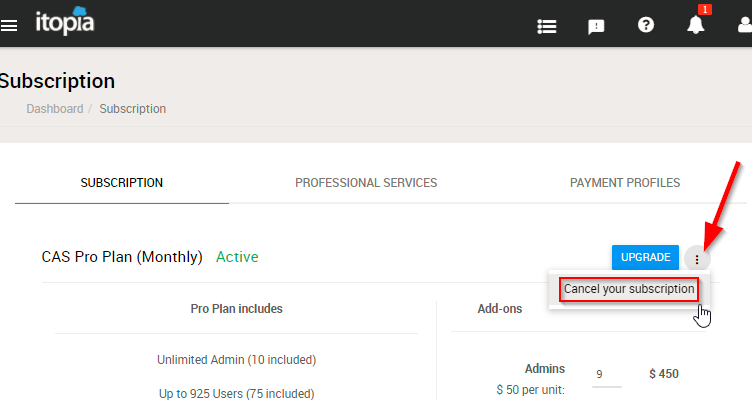 Please note that cancelling itopia subscription doesn't affect your GCP account and resources. 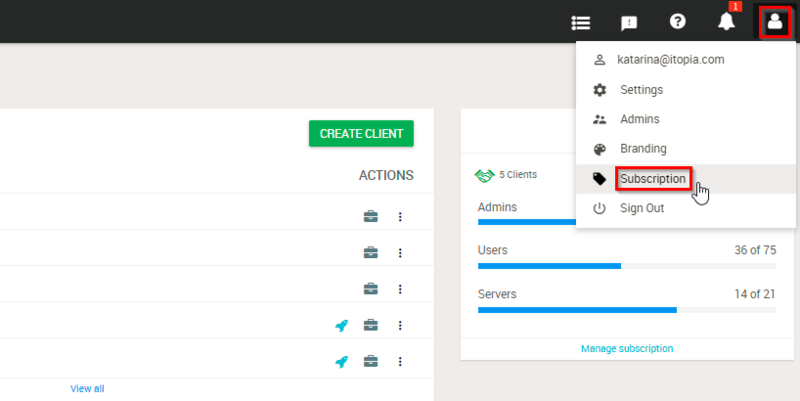 You can still access them from Google Cloud Console.